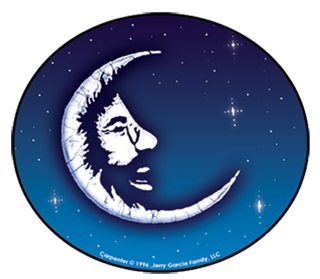 Jerry Garcia is making the moon shine brightly in this cosmic sticker. It measures approximately 6" big and can go anywhere, a laptop, locker, toolbox, or car. Officially licensed by the estate of Jerry Garcia.